1 What Is A Continuous Catheter Nerve Block? 2 How Is A Continuous Catheter Nerve Block Performed? A continuous catheter nerve block is a procedure used to provide analgesia to a specific area of the body in order to provide effective pain relief during the recovery period following surgery. The continuous catheter nerve block can also be referred to as the continuous peripheral nerve block. 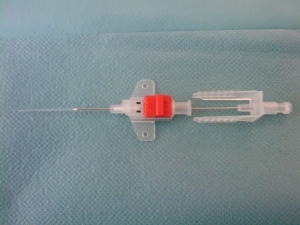 Many physicians prefer this technique to other single-injection nerve block procedures, because it utilizes a continuous infusion of anesthesia to a specified area. During this procedure an indwelling catheter is placed in the region of the affected nerve through percutaneous insertion. Catheters are threadlike soft plastic tubes that can be used to administer medications. The catheter placed during a continuous catheter nerve block is known as the perineural catheter and is typically placed during the pre-operative procedures just prior to surgery. Once the surgical procedure has been completed, the continuous catheter nerve block is employed to deliver anesthesia in order to provide post-operative pain relief and keep the patient comfortable. Continuous catheter nerve blocks are a way to optimize sensory blocking with very little residual motor blocking. Estimates have suggested that nearly 40% of ambulatory patients report moderate to severe degrees of postoperative pain following orthopedic procedures. Managing this pain can be challenging, as opioid medications, which are the most effective pain medication administered orally, are associated with a number of significant risks. Continuous catheter nerve blocks are the ideal alternative to opioids for managing postoperative pain. In fact, once the catheter has been placed, the patient is able to continue to use it for pain as long as necessary. In many cases, the patient may even keep their catheter in place once they are discharged, to deliver pain relief at home. Patients may return to their doctor to have the catheter removed or, in some instances, the patient may be permitted to remove the catheter themselves, depending on their comfort level. Previous studies have supported the effectiveness of continuous catheter nerve blocks. 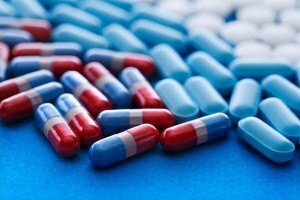 They have been shown to reduce the need for high doses of oral pain medications, including opioids. Moreover, continuous catheter nerve blocks are a preferred alternative to oral pain medications as they are associated with fewer side effects. Previous findings indicate that patients receiving continuous catheter nerve blocks reported reductions of nearly 80% in the reports of nausea and vomiting when compared to patients who were treated with opioid medications. Furthermore, these patients reported higher post-operative mood, shorter hospital stays, and significantly improved sleep. As noted above, the catheter used for this technique is inserted during pre-operation procedures. Some patients may wish to be sedated even during catheter insertion, depending on their level of comfort. These patients are given an intravascular sedation medication and their vital signs are monitored closely. In most cases, however, only a topical local anesthetic is used to numb the site where the catheter will be inserted. The surface of the skin is then thoroughly cleaned. The pain specialist will then insert a needle into the skin. 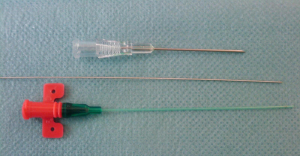 This needle will be guided to the targeted nerve using ultrasound imaging. Proper needle placement can be verified using nerve stimulation. Once it has been confirmed that the needle is in the proper location, a catheter is guided through the needle to the targeted nerve tissue. Then the needle is removed, leaving the catheter in place. A liquid adhesive and surgical tape are used to ensure that the catheter remains in the proper position. The other end of the catheter is then connected to a small container containing the analgesic. This allows the catheter to provide a continuous flow of medication to the area. In many instances, catheter placement can be done in less than 30 minutes. The accompanying analgesic container can be kept in a small carry pouch. Patients are permitted to leave the catheter in place for up to seven days following their procedure for managing post-operative pain. The patient may return to their physician for removal or, in some instances, the patient can be provided with instructions on how to remove the catheter themselves at home. Providing extended pain relief to patients after surgery can be challenging. Moreover, estimates have suggested that nearly 70% of patients will suffer from moderate to severe degrees of pain following a surgical procedure. Continuous catheter nerve blocks are an ideal alternative to the traditionally used opioid medications, which carry along with them risk for abuse, dependence, and even possible overdose. Continuous catheter nerve blocks have also been shown to reduce the length of stay in the hospital following an operation. This is due to the fact that effective pain medication is delivered continuously to a targeted area. There are a number of different procedures that continuous catheter nerve blocks can be used in conjunction with. Continuous catheter nerve blocks, also known as continuous peripheral nerve blocks, are a widely used treatment option for reducing the length of hospital stays following an operation and managing post-operative pain. During this procedure, a catheter is placed, using non-surgical techniques, and is then used to deliver targeted pain relieving medications. Studies have shown that continuous catheter nerve blocks are an effective alternative to oral pain medications, such as opioids, which can be associated with risk for dependence and abuse. Further, continuous catheter nerve blocks are reported to have fewer side effects than oral analgesics. Patients are encouraged to talk to their doctor about the appropriateness of this technique for managing pain following surgery. Pacenta H, Kaddoum R, Burgoyne L. Continuous tunneled femoral nerve block for palliative care of a patient with metastatic osteosarcoma. Anaesth Intensive Care. 2010;38(3):563-565.